The logic behind a moratorium on deepwater drilling seems sound enough. Until we have a better idea of exactly why Deepwater Horizon blew up and gushed millions of gallons of crude into the Gulf—and what other risks are still lurking out there—it's probably not a good idea to go ahead with a whole bunch of new insanely complex projects. Right? At least, that's what the Obama administration is thinking. Last month, it proposed a six-month halt on drilling that would affect 33 rigs under construction. After a federal judge struck that moratorium down, the administration came back with a slightly refurbished proposal. But, as always, these decisions are never uncontroversial—or cost-free. Politicians along the Gulf, particularly Louisiana's Mary Landrieu and David Vitter, have been warning that a moratorium will cost jobs. 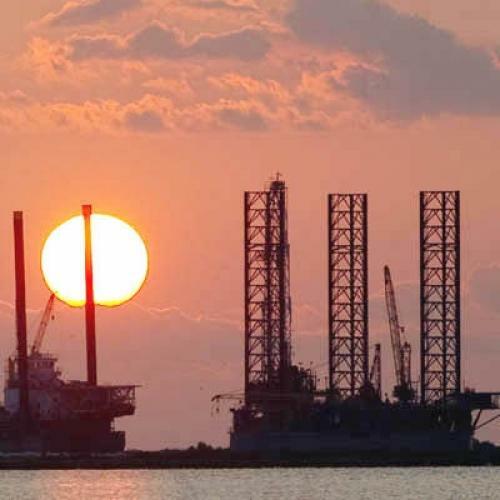 Those 33 rigs employ 8,000 people, to say nothing of the indirect costs and job losses (rig supply boats, for instance, are losing about $1 million per day). 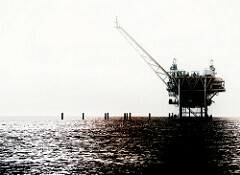 Oil firms have to pay hundreds of thousands of dollars per day to maintain and protect the idle rigs. Not surprisingly, two drilling companies, Murphy Oil Corp. and Diamond Offshore Drilling Inc., just announced that they couldn't handle the uncertainty and are shifting their operations to the Congo (where, we can assume, safety regulations are considerably shoddier). And in Louisiana, people are legitimately upset about the disruption to drilling. Time's Bryan Walsh reports from the first public hearings of the presidential oil spill commission yesterday, where many locals insisted that the moratorium was going to do more damage than the spill itself. "We are at the epicenter of the drilling suspension," said Charlotte Randolph, the president of Lafourche Parish. "The spill has decimated the fishing industry, but the moratorium will end life as we know it in our parish." The numbers back her up: The energy industry, as Walsh notes, is worth $65 billion to Louisiana; tourism and fishing only brings in about $10 billion. Is it possible to balance these two concerns and improve safety without putting a cramp on Louisiana's economy? Some members of the oil-spill commission seem to think so. At a news conference yesterday, Bob Graham, one of the new co-chairmen, compared the situation with a recent order by the FAA to inspect cockpit window heaters on 1,200 Boeing airliners: "I'm sure they didn't wait until all 1,200 airplanes had been evaluated to release the first ones back." Graham also questioned whether a flat six-month moratorium was really appropriate—and suggested that rigs should be able to start operating again once regulators were satisfied that they've met safety guidelines. But not all experts think it will be that easy. "We're still finding problems and shortcuts by BP every day—there are still too many unknowns out there," Marilyn Heiman, a former Interior Department official now with Pew Environment's US Arctic Problem, told me. "If they're really going to go out on the rigs, make sure everyone's trained, make sure all the equipment works, check to make sure they have cleanup capacity, that is going to take time. And more broadly, I think we have to take a very precautionary approach and ask ourselves if the risks are really worth the benefits to drill in certain places." Coming to an informed judgment about the costs and benefits could take awhile—possibly even longer than six months. But people in Louisiana certainly don't want to wait that long, which means there's no easy answer here.